Ex-pro Eddie Bagtas led Luisita with 50 points during the second round. Cebu Country Club got a big lift from many-time club champion and former club president Ramontito Garcia to take solo second in the Founders division of the 30th Philippine Airlines (PAL) Seniors Interclub played at the Mimosa Golf Club in Angeles City, Pampanga. In the premiere Championship division, Luisita padded its lead against Canlubang to 12 points midway through the four-day tournament for players aged 55 years old and above. Host Mimosa still holds the driver’s seat in the second-ranked Founders division with a two-day total of 289 points on rounds of 149 and 140 in this four-to-play, three-to-count event using the Molave Points System. Enrico Santos led Mimosa with 49 and also counting for the team total were Noel Yamzon 48 and Danny abad 43. 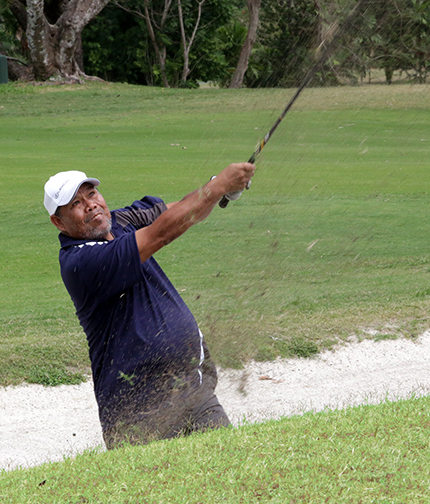 Garcia, a veteran competitor in the PAL Interclub, fired one-over-par 53 points, the best round for the day, to help the Cebuanos to a two-day aggregate of 275 points on rounds of 133 and 142. Also counting for the team total were George Hong with 45 and Nonoy Tirol with 44. The 41 of Efren Sarmiento did not count. Orchard is at solo third with 266 (129-137) followed by Pueblo de Oro (133-127) and Manila Golf (131-129) at joint fourth with 260 points each. Cebu’s Alta Vista Golf and Country Club remains at sixth spot with a two-day output of 244 points on rounds of 126 and 118. Wendell Yap led the team with 40 points while Victor Gocela and Jun Suan each carded 39 points. Skipper Roy Damole, who was forced to play despite feeling under the weather managed only 29 and did not count for the team total. 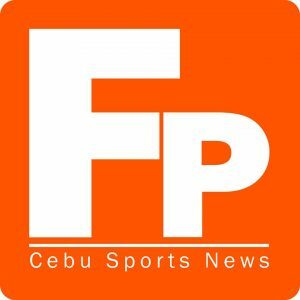 Damole told www.fullpointcebu.com that he was forced to play as Masahisa Kawakami asked to rest after playing during the first round. He said that the Cebu-based Japanese national will be joining Emir Abutazil, Razi Razon and Ramon Sebastian for the third day. He remains hopeful that the team can still move up the rankings. Ex-pro Eddie Bagtas fired 50 points Friday to lead Luisita. The Tarlac-based team now has a total of 288 points on rounds of 146 and 142. Also counting for the team total were Benjie Sumulong with 48 and Minieng Maravilla with 44. Bong Sison, their fourth player for the second day, signed a wrong scorecard and was disqualified. Canlubang brought in their top gun, Tommy Manotoc, who shot 51 points to lead his team. The team now has an aggregate of 276 on identical rounds of 138. Also counting for the team total were Rolly Viray with 44 and Zaldy Villa with 43. The 41 of did not count. Jeric Hechanova, GM and non-playing captain of Luisita, hinted of a possible reshuffle in their line up to protect their lead as all their eight players have already seen action. A player can only play two rounds within the four-day period. The scoring system awards seven points for a double-eagle, six for an ace, five for eagle, four for birdie, three for par, two for bogey, and one for double-bogey. A player, who fails to hole out after missing on a double-bogey must pick-up or the team gets slapped a two-point penalty. The 69th PAL Interclub is sponsored by People Asia, Travelife, Mareco Broadcasting Network (Crossover), Manila Broadcasting Corporation, Airbus, Business Mirror and Philippine National Bank. Other supporters are Philippine Daily Inquirer, Inquirer.net, Plantation Bay Resort and Spa, Tanduay Distillers, Asia Brewery, Splash Corporation, RFM Corporation, Goldilocks, Eastgate Publishing Corporation, Robinsons Land and Rolls-Royce.